We’re used to looking at the Open Rates and Clickthrough Rates of our email marketing to gauge the health of the campaign and strength in the channel. After all, they’re what we use to measure engagement. The goal in email marketing is to increase engagement rate by driving people to action. To do so, we do A/B testing, improve our calls-to-action, simplify our design, and write better subject lines. But what happens when those tactics don’t work? Some of our subscribers are historically disengaged. They are the ones that may have opened an initial email (to download your offer or copy the coupon code), but then never engaged again. When these types of contacts accumulate in your subscriber list, it is detrimental to your overall engagement rates. Not only that, but Internet Service Providers (ISPs) now know how to tell how your contacts are engaging with your emails—and if they are not engaging over time, they will categorize your emails as graymail. Graymail is solicited bulk email messages that are not spam but receive little to no engagement. On the flip side, if you suppress these unengaged contacts, “your sender reputation will improve over time, eventually increasing the likelihood of your emails ending up in your recipients’ inboxes,” according to HubSpot. 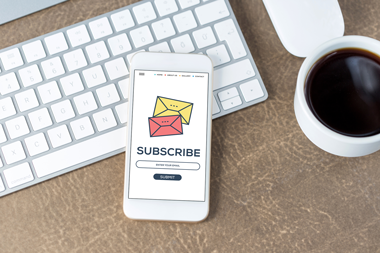 Segment your subscribers into lists so you can target your readers appropriately and reduce the chance of graymail. This may be overwhelming at first, but use your data to help determine where each contact should fall. Stay up on your list regularly by removing bounced emails and categorizing new subscribers. Create a graymail list and try to reengage them. If they don’t engage after 2-3 emails, archive the contact. Make sure your unsubscribe button is visible and working properly in all of your emails. Run monthly reports, set reasonable goals, and create a plan of action for incrementally improving your campaigns. Understanding graymail should actually be freeing for you as a marketer: let go of the unengaged! Instead of repeatedly seeing low numbers, drop the stagnant contacts and focus on those who are really interested in your brand.